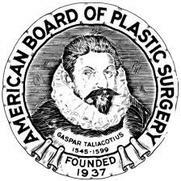 "Jim Wethe was my student in my post graduate advanced aesthetic surgery fellowship. I could tell even at that time he was talented. I have trained dozens of young plastic surgeons and I found Dr Wethe's aesthetic sense of creating beauty in both body and facial surgery was one of the best . He has progressed to a present day leader in the field. My highest recommendation." Thank you for visiting the website of James D. Wethe, M.D. Dr. Wethe is an established and highly respected Plastic Surgeon, certified by the American Board of Plastic Surgery and a Diplomate of the American Society of Plastic Surgeons, whose goal is to provide outstanding patient care in a professional and welcoming environment with an emphasis on patient safety and satisfaction. Dr. Wethe is the Medical Director of Skin365™ Med Spa in Torrance. Torrance-based Aesthetician Elena Skelton is currently seeing patients in our office. Elena is an exceptionally well-trained and respected skin care professional with over 25 years of experience. In her practice she sees both her own clients as well as patients from our office in consultation and for treatment of their skin care needs. Check out her website here. Her Yelp reviews are stellar as well! Gift certificates are available. Please call Elena directly at 310-701-9691 to schedule an appointment, Monday through Saturday. She can be reached by email as well. Now available in our office, the IDEAL IMPLANT® Structured Breast Implant, a new third type of implant that is filled with saline, but has an internal structure to make it behave as if filled with silicone gel. The IDEAL IMPLANT contains a series of nested shells that provide support to the edges and control fluid movement to prevent bouncing. The result is an implant that combines certain key features and benefits of both saline and silicone gel implants. Like the saline implant, the filler is only saline, which women like for peace of mind in case of a rupture/deflation. Like the silicone gel implant, it has a natural feel, but without the risk of silent rupture and FDA-recommended MRI scans - women can simply look in the mirror and know their implants are intact. In addition, clinical trial results at 6 years show the IDEAL IMPLANT has a lower rate of capsule contracture and a lower rate of rupture than silicone gel or saline implants for primary augmentation. Please call us today to come in for a consultation. Do your own side-by-side comparison of the IDEAL IMPLANT with the silicone gel implant. Are your lashes thinning over time? Not enough lashes? Latisse® grows lashes longer, fuller and darker. We're pleased to have this product back in stock. Enjoy 20% off on all SkinCeuticals products in stock. Our knowledgeable staff is happy to provide any assistance you may need regarding the products we offer. Call the office for more information. We are pleased to offer you a place to research the plastic surgery procedures, non-surgical and skin care options available at Dr. Wethe’s office in Southern California. Here you can learn more about common plastic surgery procedures including facelifts, breast augmentation (also called breast enhancement), breast reduction, eyelid lift as well as facial relaxers and dermal fillers , laser skin rejuvenation and more. The first step in considering any aesthetic procedure is to call the office to schedule a consultation. You’ll meet Dr. Wethe, and can talk privately with him about your goals for your appearance. At the time of your consultation, he will examine you and may share photos of other patients with similar goals. Together you can decide on what course of action best suits your individual needs. An educated patient is a confident and well informed patient. Please click the links to learn more about the ﻿procedures﻿ we offer, the facilities where Dr. Wethe performs surgery, and directions to his Torrance, California office. If you have any questions or would like to schedule a consultation please call us at ﻿(310) 784-8389﻿. Or if you’d prefer, complete the ‘Contact Us’ information and a member of our staff will contact you to answer your questions and schedule an appointment. Save time at the office by downloading your registration forms! 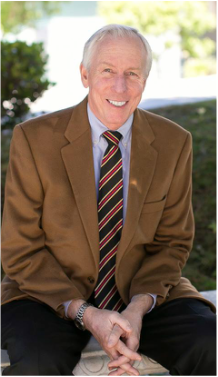 James D Wethe, MD is committed to ensuring that our web site is accessible to everyone. If you have any questions or suggestions regarding the accessibility of this site, please contact us, as we are continually striving to improve the experience for all of our visitors. Some documents on this website are produced in portable document format (PDF). In order to improve viewing of these files, please download the latest version of Adobe Reader, which is available for free at the Adobe web site. Our goal is to adhere to the accepted guidelines and standards for accessibility and usability. To that end we have recently reviewed our entire website to identify non-compliant elements or documents and to bring them into compliance. We are continuing this process to ensure that the site remains up-to-date regarding updated guidelines.